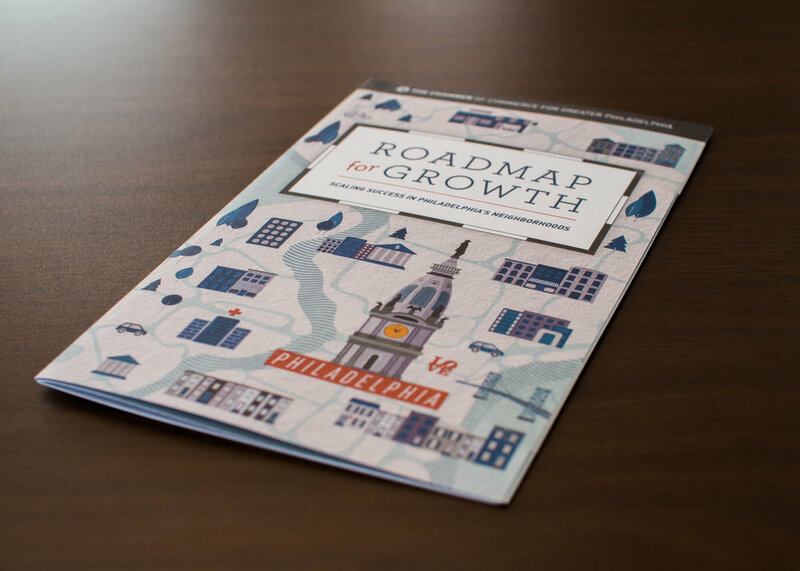 The Roadmap for Growth is a multi-year initiative to engage Mayor Jim Kenney and City Council in a shared agenda to promote economic growth and job creation in the City of Philadelphia. This series of invitations were created for the 2017 Roadmap Events. 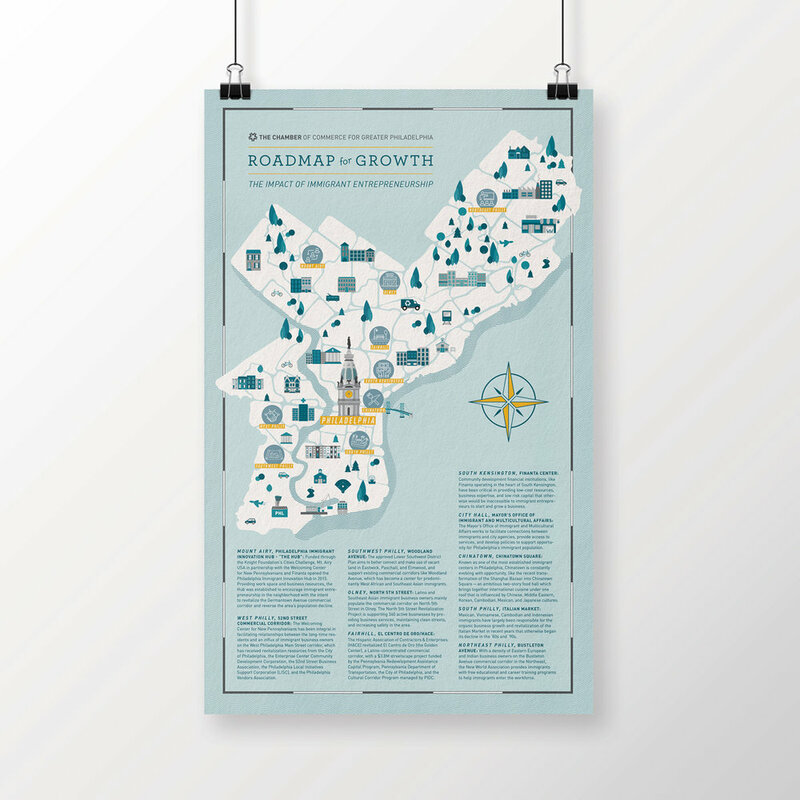 Each invite folds out into a poster highlighting areas of positive growth in that event's area of focus. This series was presented with a 2017 GDUSA Inhouse Design Award.